Ever since the popularity of LOST, ABC has been trying to find another strange, prime-time, sci-fi series to fill the void. One of the better ones was Invasion. This show managed to last a full season, but just like V, Flash-Forward, Life On Mars, Persons Unknown, Surface, and so many others, it didn't last. Why not you may ask? The truth is that the network keeps using these great show ideas and either takes them off the air for months in order to air some lame reality show or in this case, they keep making it stranger and stranger until it's unwatchable. LOST was weird, that's what we loved about it, but that show was written by J.J. Abrams, not Shaun Cassidy. Some people can make weird work and some just can't! Invasion takes place in a small town bordering the Florida everglades, where a strange family dynamic is taking place. The Varon family has split up and the kids spend half the time with their father, Russell (Eddie Cibrian), a park ranger who is engaged to a local reporter, and their mother, Mariel, who is a Doctor and whom has remarried the town sheriff, who also has a daughter. Going back and fourth between fighting parents is hard enough, but in an area as dangerous as the everglades, it can be downright deadly. One night, a massive storm blows into town and people see strange lights in the sky and in the water. When things settle down, certain people are somehow different. Some, like Russell, are skeptical that anything happened, others like his brother-in-law to be, think the planet is under attack, but no one really knows what the truth is. This is a modern version of invasion of the body snatchers and a much more subtle version at that. The series starts off with a bang and is definitely binge worthy, but then it hits a brick wall. I mean it is the same thing around and around for about ten episodes and it is ridiculously frustrating. Things finally get going again, and it just becomes weird, they jump back to story lines they haven't mentioned since the pilot, they investigate things they never mentioned before, the show is really kind of all over the place and it just gets worse. Shows like this kill me, because it started out so good, the story was extremely promising, and best of all was the cast. William Fichtner best known for Prison Break and dozens of blockbuster films is one of my favorite actors, and he is amazing in this show, there are points in Invasion, where he keeps the whole thing together and I may have stopped watching, if I wasn't so interested in what his character was up to. Paired with Third Watch's hunky fireman, Eddie Cibrian, the pair make for perfect rivals and strange bedfellows, and oddly had terrific chemistry. Add veteran actress, Lisa Sheridan, and a sixteen year old future TV star named, Evan Peters, to the mix, and this cast was fantastic. 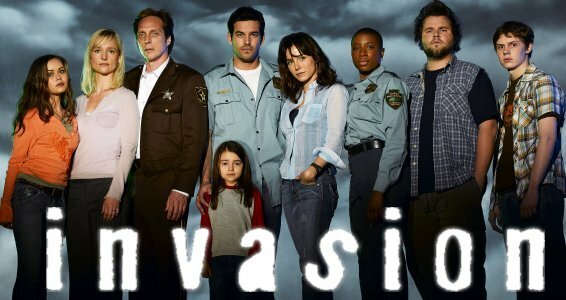 The bottom line is this show should have worked, it should have lasted, but ABC wanted it to be the next LOST. Someone kept messing with the story at the last minute, until the point that even the writers were confused about what they were doing, and things just fell apart. It's a shame, the first few episodes of this show were as good as it gets, while the last dozen or so were a struggle to get through.